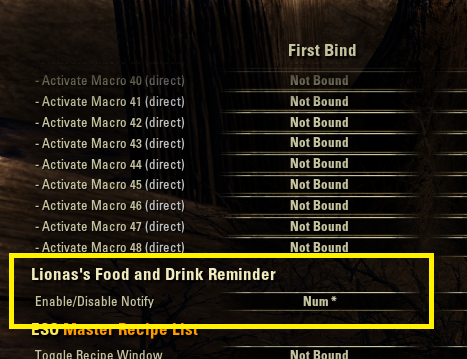 Simple reminder for food and drink buffs. Changing this option don't take over current settings and saved individual(Character or Account). You can specify the notification area (all area, in dungeon, moved from/to specific zone). *specific zone : for example; Wayshaine, named area, etc. 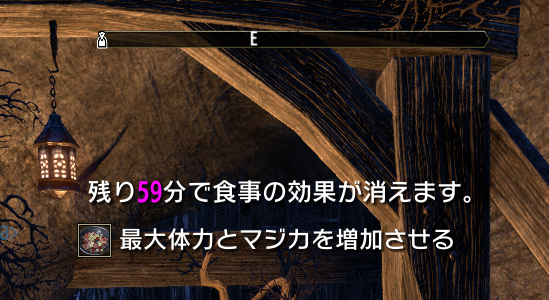 It will notify to you the status of food and drink (effect and remaining time) when you entered dungeon, got out from dungeon, past the specified remaining time, and expired. You can enable/disable additional output(to chat). Ready for translate(JP, EN, DE available). Enable/Disable nofity with movable meal icon which means closed expire or expired. If you found bugs, please read this. - Added missing buff id '68411' (Crown store's food/drink buff, only DE client). - Added settings for enable/disable use account wide settings. Changing this option don't take over current settings and saved individual(Character or Account). - Fixed issue of food icon sometimes blink. - Added settings for enable/disable nofity with movable meal icon which means closed expire or expired. - Update translation for de.lua. - Added settings for enable/disable notification when you just logged in or when you moved zone or entered to dungeon after buff was expired. 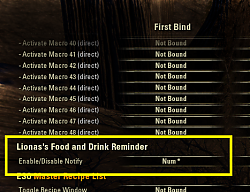 - Fixed issue of wrong notification is occured by non-food(&drink)'s buffs. - Added debug options for issue report. - Added optional setting "Notification prohibit time" because zone-changing is occurred many times. - Added feature of "Notify by changing zone". 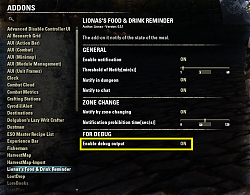 - Changed optional setting "Only notify in dungeon" to "Notify in dungeon". - Added settings for enable/disable output to chat. - Fixed issue of ignored for notification enable/disable. - Fixed issue of initializing variable by typo. - Added de.lua file(but not translated). 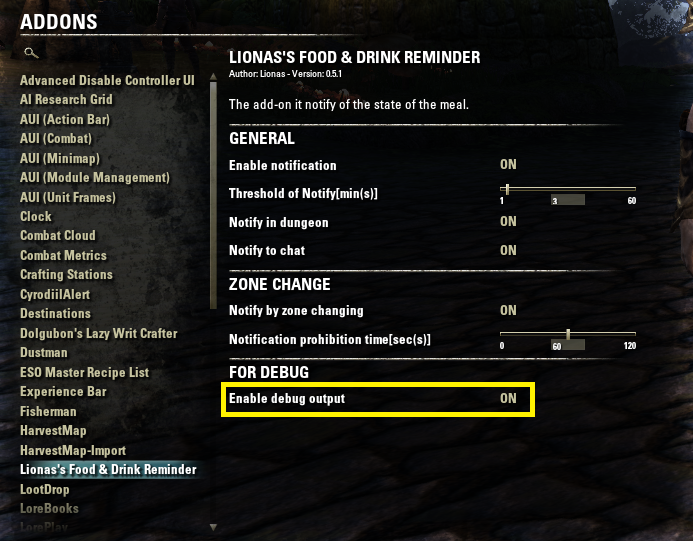 - Added "Only notify in dungeon" option. - Fixed issue firing multiple notification when food's buff expired. Addon works wrong ignores settings and sayd about buff ends at 1 hour 20 minutes after change location (but i disable this announce in options) and sayd about hours instead seconds as wroted in settings. I think this need fix. Does not cover the buff provided by the Lava Foot Soup & Satrice. One of the new food recipes from the New Life Festival event. OK, I think "Simple is the best". So would you please translate below text? I saw Combat Metrics sources, it is incomplete about switching settings between character and accountwide. It's not take over current settings and use individual previous settings. If you don't need to take over settings, it's easy to implement. when you will add accountwide settings? Ok, I'll use accountwide settings in default within several days. But it's not include switching char-base <-> accountwide settings, because it's complex I think. Re: Re: Re: Re: Re: is that a bug ? Hi Lionas , You are AWESOME . The addon is now behaving exactly how I was hoping it would. Thank you for your feedback and sorry for receiving many notifications caused my bugs. 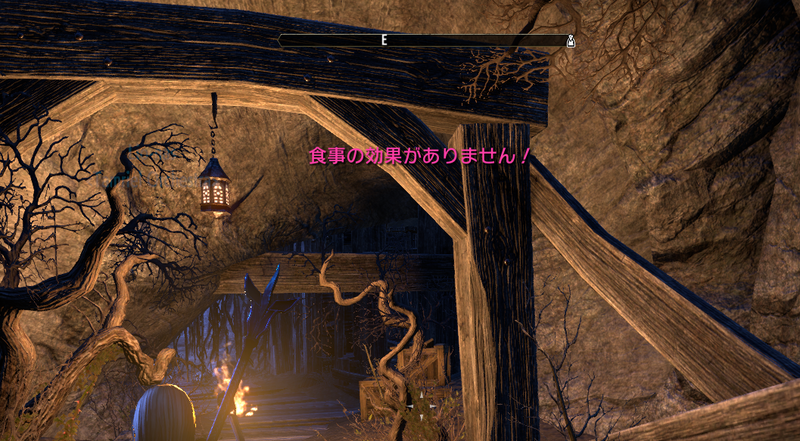 Have a good ESO life! Re: Re: Re: Re: is that a bug ? The buff that is triggering the alarm is Shadow cloak. The buff last 3s and every time I use it I get a notification saying food is about to run out. I fixed this issue in v0.6.1. Please check it whether the function work collectry or not. Re: Re: Re: is that a bug ?